The anatomy of the human liver and its location in the body is detailed in this colorful anatomical chart. The anatomy of related organs are displayed along with the liver. 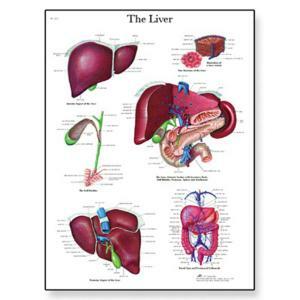 This poster is a great tool for teaching the role of the liver in the human body.